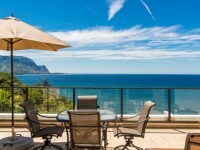 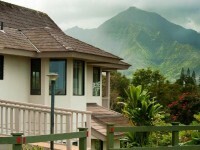 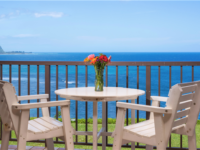 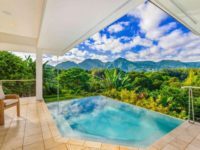 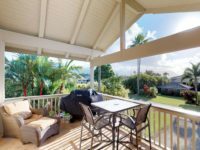 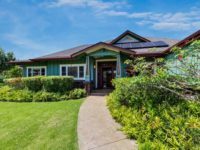 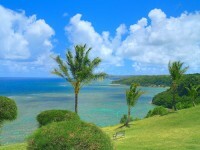 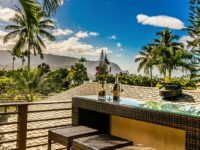 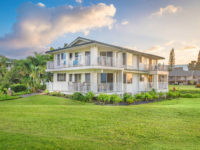 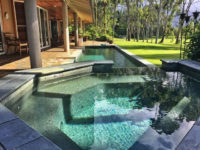 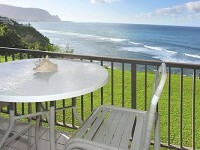 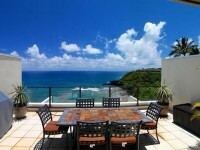 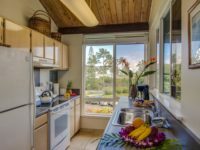 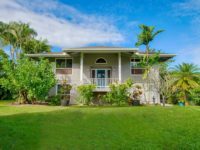 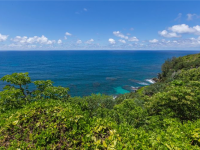 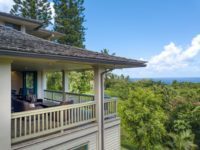 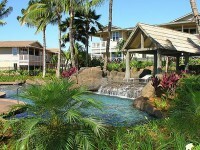 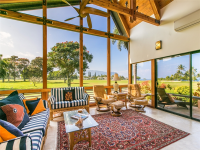 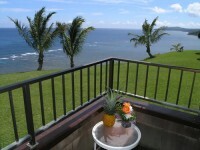 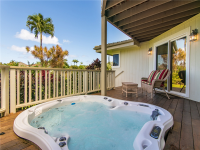 CONDO RENTAL, PRINCEVILLE KAUAI: For a truly awesome spectacle, Pali Ke Kua #108 has a “”ring-side seat”” for possibly the most beautiful sunset in the Hawaiian Islands. 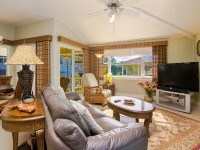 Just out the sliding glass door is a paved beach trail leading to a white sand beach and private recreation area. 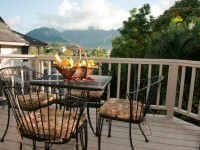 Walk to the on-site restaurant, Sabella’s, and golf and tennis are also a short stroll away. 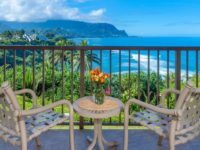 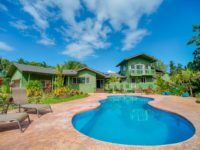 Pristine Hanalei Bay awaits you in just a 5 minute drive down the hill for surfing, sailing, fishing, boogie-boarding, or just plain relaxing at the beach. 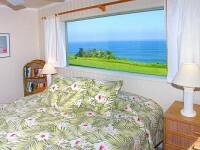 One bedroom with King bed, with accompanying bathroom. 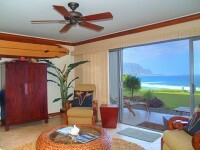 A Queen sofa sleeper in living room rounds out accommodations for up to 4 people.